J. Cindy Hill joins GPB after three years serving as Arts Marketing Coordinator for Mercer University in Macon, her hometown. At Mercer she worked with The Grand Opera House, Townsend School of Music, the Robert McDuffie Center for Strings, Mercer Theatre and the new Tattnall Square Center for the Arts. She was the publicist for "A Grand Mercer Christmas", a co-production of Mercer and GPB featuring violinist Robert McDuffie, the Center for Strings and Mercer Singers, which was filmed on location at The Grand in 2012 and broadcast throughout the nation on public broadcasting stations in December 2013. 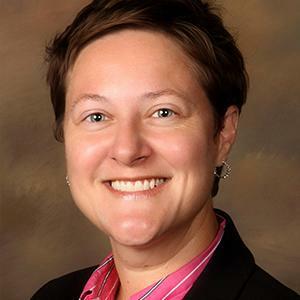 Prior to her work at Mercer, she served as Director of Marketing and Grants for Macon Arts Alliance, and Senior Marketing Producer for 13WMAZ-TV. She has also served as an arts columnist for The Telegraph and freelance writer for Macon Magazine. Her career began with a decade of film and television production in Atlanta, Los Angeles and Savannah. On her final film, "The Gift", Cindy spent six months living and working in Savannah, a place that felt immediately like home. She is excited to have the opportunity to return to this wonderful city and become a part of the community through her work at GPB. She has served on numerous boards of state and local arts organizations. In her free time, Hill enjoys writing, photography, directing and producing theatre, attending arts events and doing almost anything at the beach. 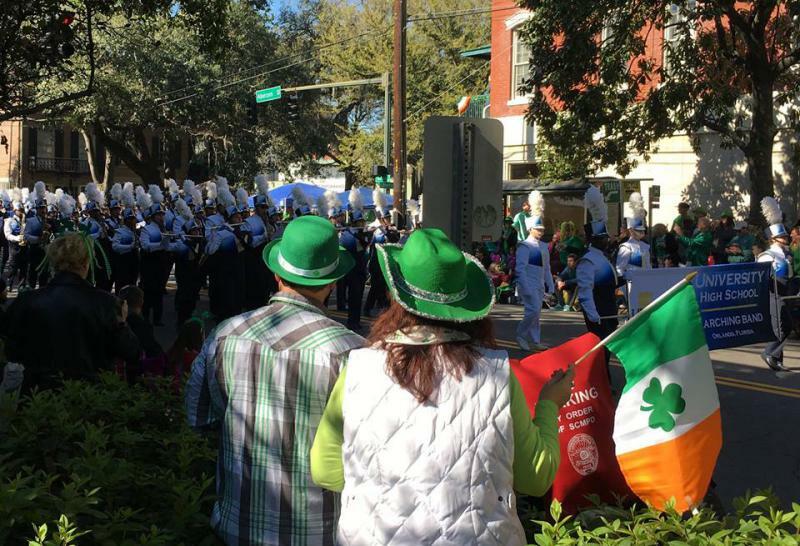 Savannah’s fountains are flowing green which means St. Patrick’s Day is here. But this year there are a lot of changes. There's a new ban on the tradition of kissing soldiers and Vice President Mike Pence is visiting, so access in two squares will be restricted. 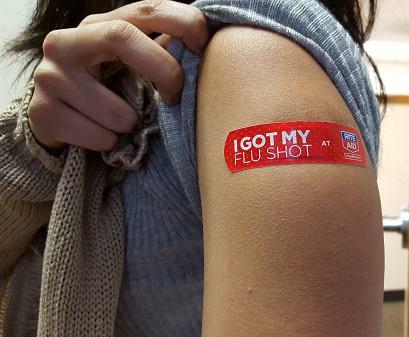 Savannah Morning News executive editor Susan Catron says this bumps up against some longstanding Savannah traditions. 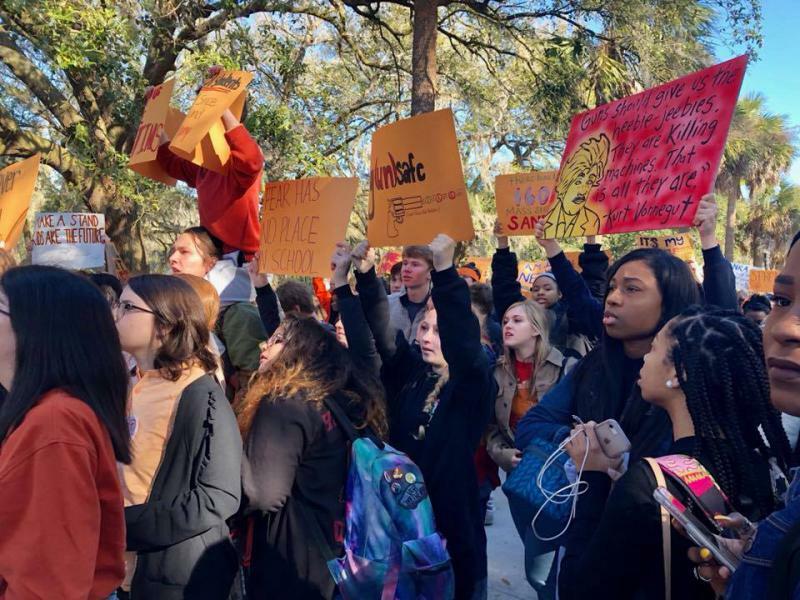 Hundreds of students at Savannah Arts Academy participated in today’s National School Walkout. The event was to protest gun violence and remember the seventeen students shot and killed one month ago at Marjory Stoneman Douglas High School in Florida. At first the Savannah-Chatham County School Board supported the student-organized events but later left each school to determine how to handle it on their own. Savannah Arts Academy’s principal, Gif Lockley, offered use of the school’s auditorium but students had other plans. Savannah's City Council is considering proposals that would alter how people live and travel in parts of Savannah. Susan Catron is executive editor of Savannah Morning News and SavannahNow.com. She says both proposals raise questions about a common issue familiar to anyone who drives in Savannah. Click here to read more about the proposed changes to parking on the south side of Forsyth Park. In Savannah, two men work to bring Gullah-Geechee heritage to tourists. James Pringle sits on a bench in Wright Square almost every day singing about history and slicing reeds in which he weaves into roses. 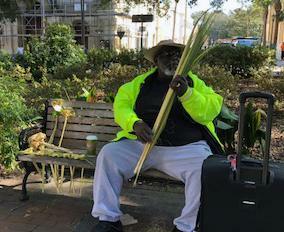 Jamal Toure' teaches Africana Studies at Savannah State University and leads tourists on walking tours that highlight Gullah history in Georgia. 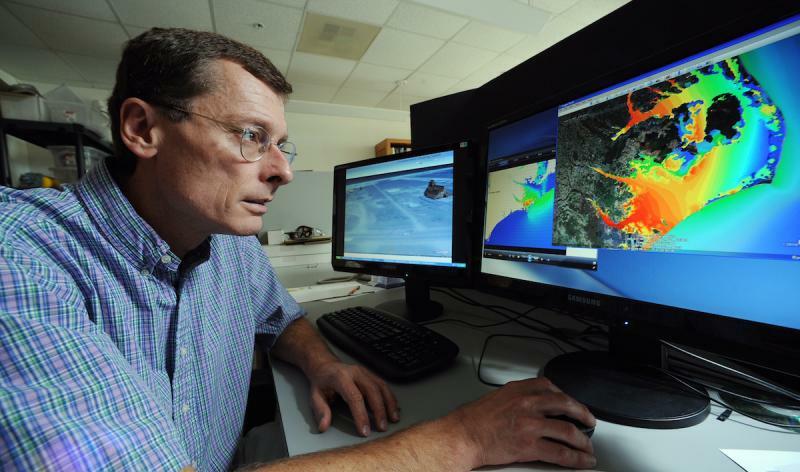 This project is supported in part by Georgia Humanities through appropriations made by the Georgia General Assembly. 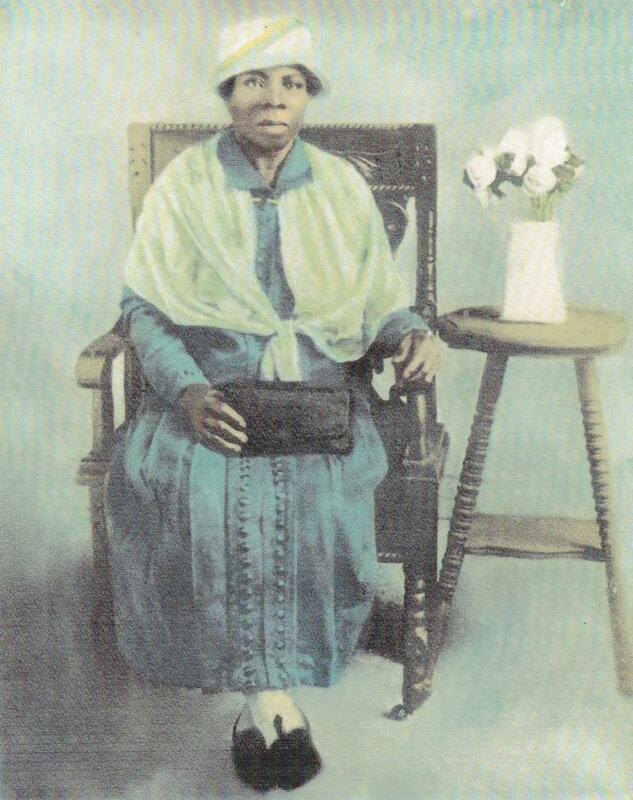 This week we’re hearing how some descendants are passing along Gullah heritage to the next generation. Patricia West is a writer and professor at Savannah State University. She was inspired to document her family’s roots after discovering her great great-grandmother’s grave on a trip to the family cemetery. The Scott-West family is also looking for ways to celebrate their history. Later this week, we will join them at the centuries-old cemetery where their American heritage begins, for a libations ceremony honoring ancestors. President Donald Trump held a rally on the sunny lawn. Republican leaders spoke to a gathering of around fifty people. Representative Buddy Carter, a Republican and supporter of the president, was supposed to attend but the government shutdown kept him in Washington. He spoke to the gathering over the phone, highlighting the GOP's accomplishments during Trump's first year in office. Others spoke about a return to Christian conservative values. 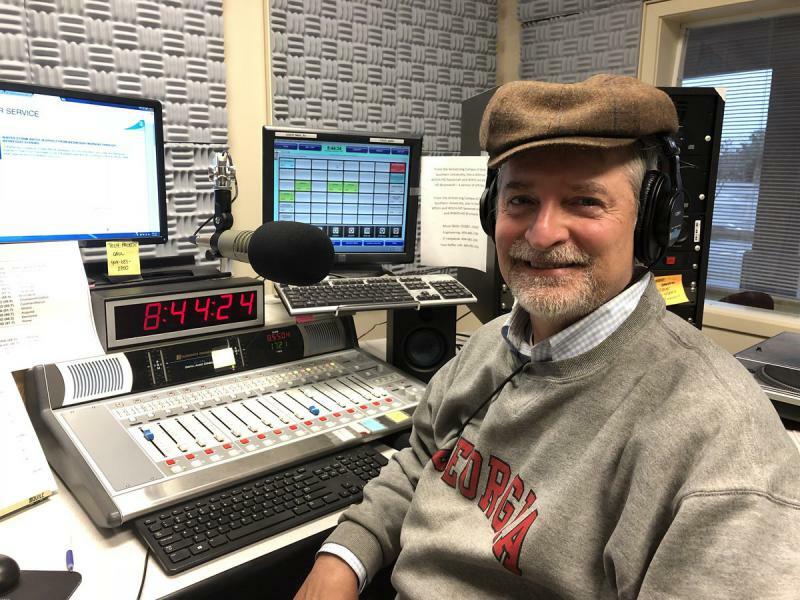 After a career spanning nearly four decades, Tom Barton retires today from Savannah Morning News. He started as a reporter 39 years ago. Ten years ago he became an editorial page editor. In this time of great change for newspapers and newsrooms, I started by asking what he thought about the future of News Editorials. 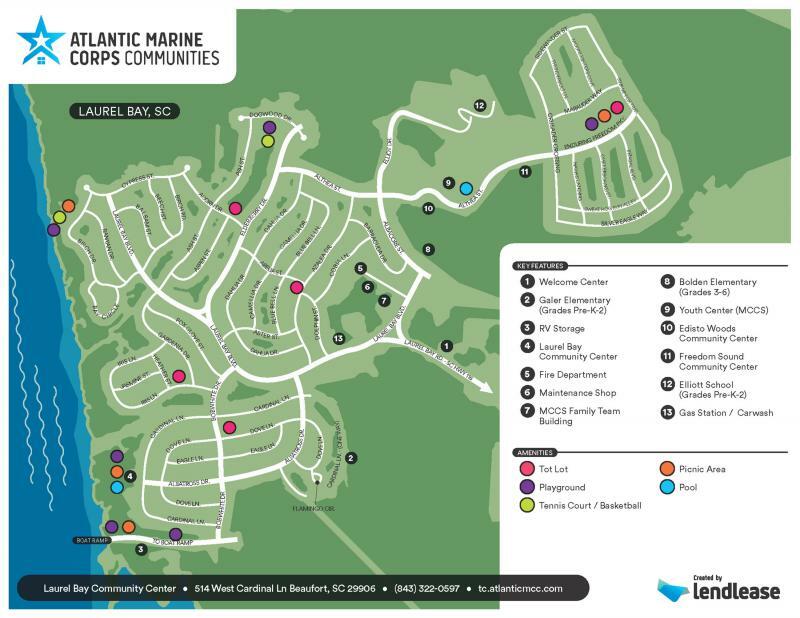 When Amanda Whatley's daughter was diagnosed with cancer, she wondered if it had to do with where they live: Laurel Bay, a Marine housing community near Parris Island, South Carolina. Decades-old oil tanks are buried beneath the homes there. Whatley posted a video online that caught the eye of Marine Corps officials - and prompted the Island Packet and Beaufort Gazette to investigate. The newspaper's series on contamination at Laurel Bay is out this week. Reporter Kasia Kovacs told us what they found. Savannah’s City Council chambers were full Thursday afternoon for the first 2018 budget hearing. I sat down to review the city's proposals with Susan Catron, executive editor of Savannah Morning News. She says one issue is undermining the work of council and City Manager Rob Hernandez. I also asked Catron about Savannah Morning News' decision to file suit this week against the parent corporation of Memorial University Medical Center and the hospital over open records requested by the newspaper. 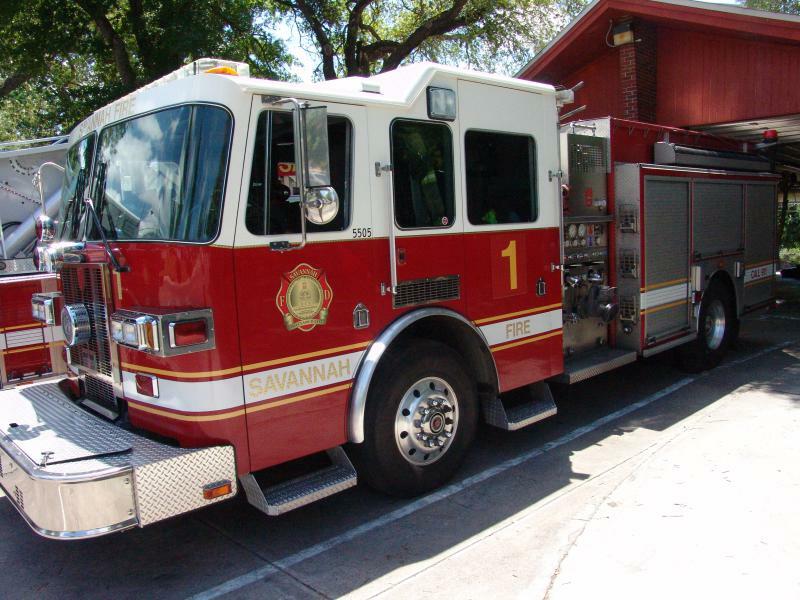 The City of Savannah is considering charging property owners a fee for fire service. 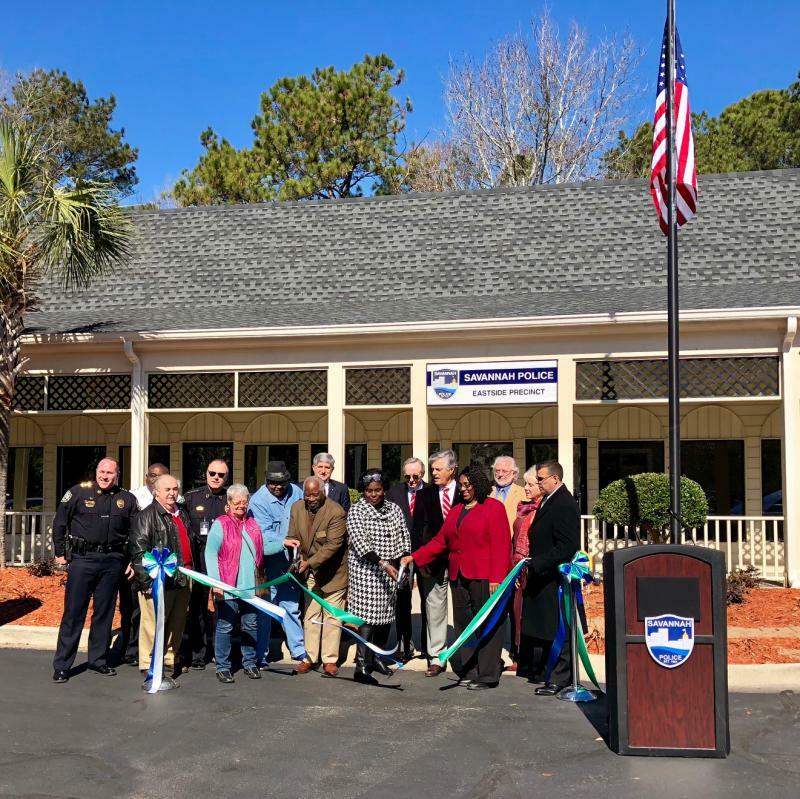 We spoke with Susan Catron, executive editor of Savannah Morning News to hear more about this effort to make up for a budget shortfall. We also spoke about Chatham County's proposed sale of the public hospital, Memorial Health, to for-profit HCA Healthcare. 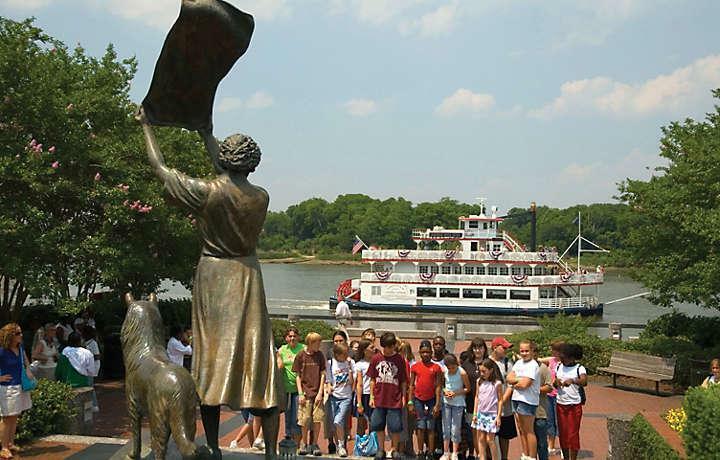 Hear more in our Savannah News recap. As the world comes to grips with the unprecedented damage of Hurricanes Harvey and Irma, millions of Americans in the southeastern United States are working to rebuild their lives. 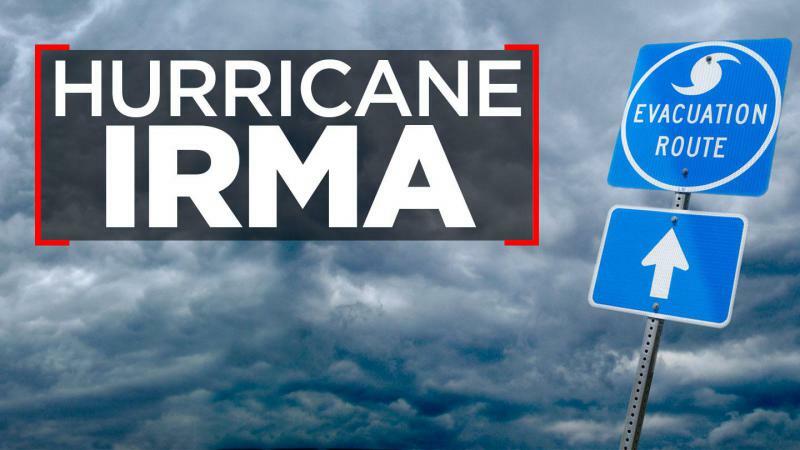 Irma crossed into Georgia in the early morning hours of Monday, September 11, 2017. 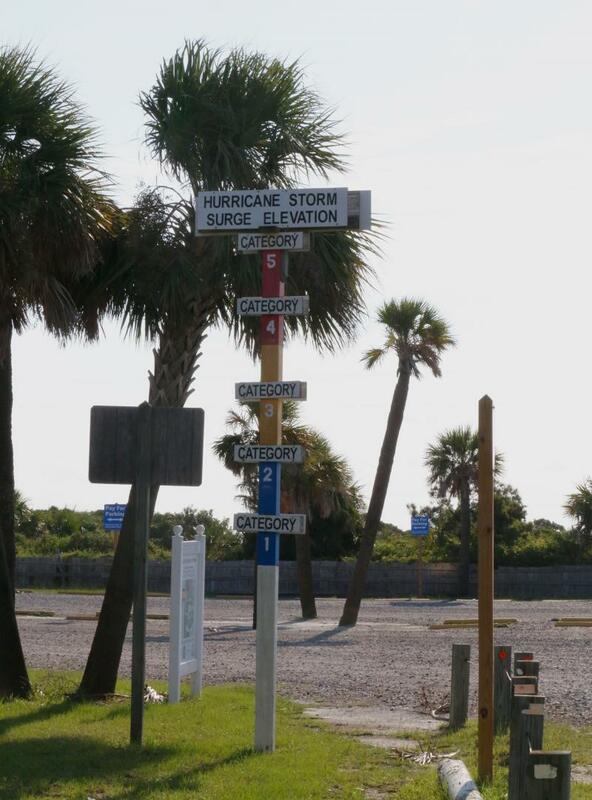 Over the next 24 hours, water inundated island and beach communities over 100 miles of coastline. Winds topping 69 miles per hour toppled trees and power lines. 1.1 million Georgians lost power and three lost their lives. 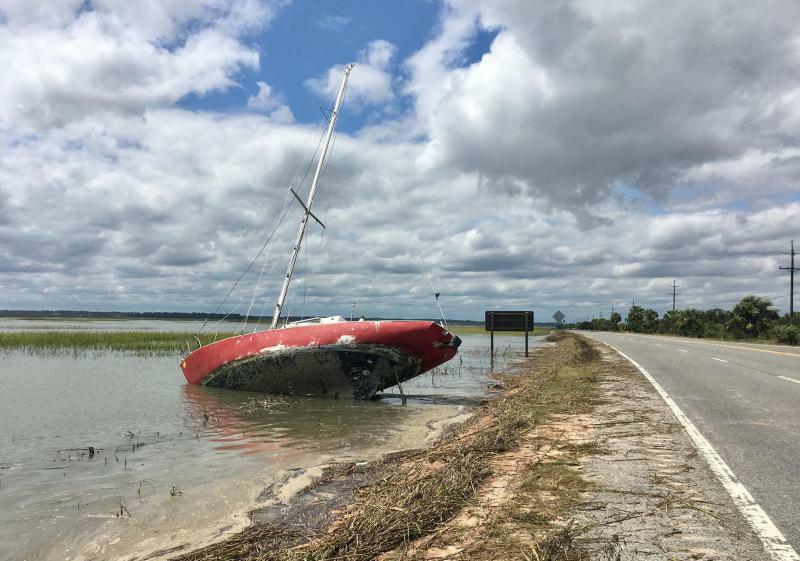 Water was on the minds of many Coastal Georgians today. Some scrambled to buy a few extra gallons of it when some grocery stores opened for a few hours. Others piled sandbags or whatever they could find to try to prevent water from flooding their homes. At high tide, the water level in the marshes was already noticeably higher than usual. The moon’s cycle already meant water levels would be elevated right now. That isn’t great news, with Irma on the way and with the coast expected to get flooding from storm surge. 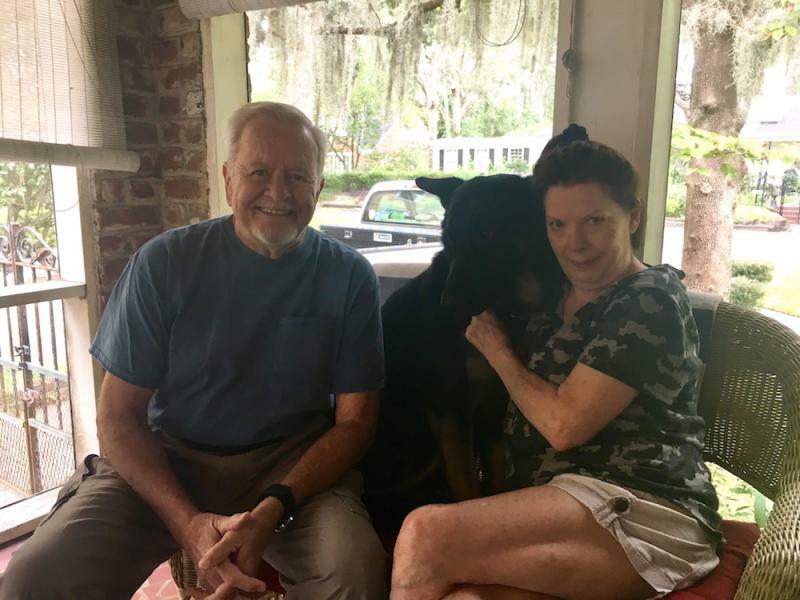 As Hurricane Irma’s track shifted farther west, many in the Savannah area wondered whether to evacuate as ordered. Some people who at first considered leaving opted to stay, rather than evacuate west to areas increasingly covered by storm trajectories. 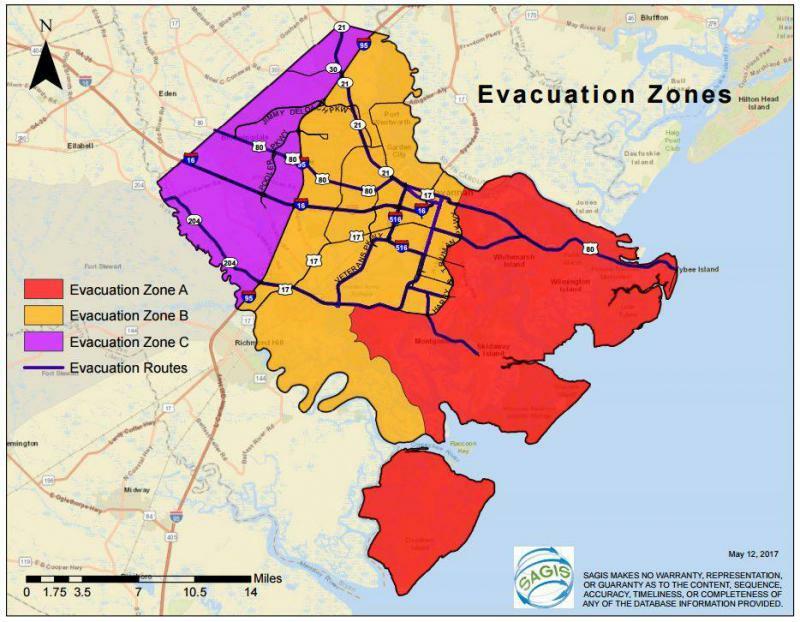 A mandatory evacuation of Tybee Island began this morning. A few cars seemed to be leaving with families, pets, bikes and surfboards loaded up. But traffic was sparse on the two-lane road that leads on and off the island. On any other sunny Friday in September when schools and businesses were closed, Tybee beach would be teeming with people enjoying the sand and surf. Jim Ervin and a handful of others braved a strong undertow to ride some unusually strong waves. Otherwise, the beach was nearly deserted and the island was quiet except for the cyclical buzzing of cicadas. Georgia is a major distribution hub for everything from food and cars to raw materials like cotton and turpentine. And, increasingly, illegal drugs, including opioids. 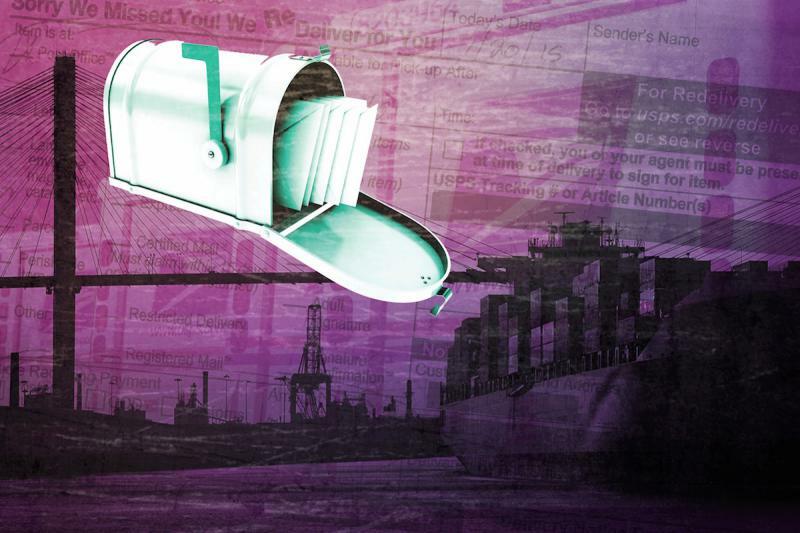 The interstates and port that attract big business to the state also attracts drug traffickers. Dan Salter is the special agent in charge of the Atlanta field office of the U.S. Drug Enforcement Administration. He says that right now they're particularly concerned about fake Percocet pills that caused a spike of recent overdoses in Georgia and across the country. Georgia Historical Society, which is based in Savannah, is the keeper of stories and documents about the people and events that have shaped our state. Senior Historian Stan Deaton shares the story of the first contentious election for U.S. President and the Georgian who was at the heart of the story. 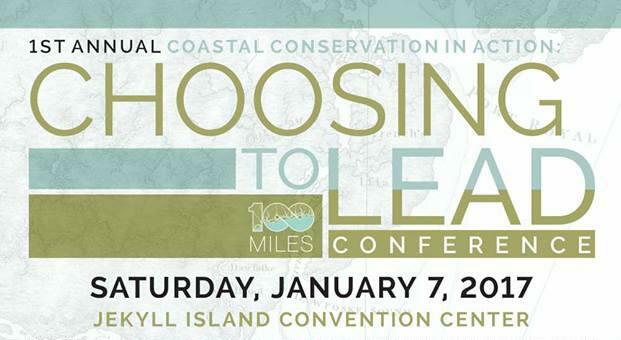 Coastal advocacy organization One Hundred Miles will host the first "Choosing to Lead" conference this Saturday, Jan. 7, on Jekyll Island. Catherine Ridley joined GPB Savannah's Emily Jones to share more about why they created this conference on coastal conservation in action. Information about the conference may be found here.